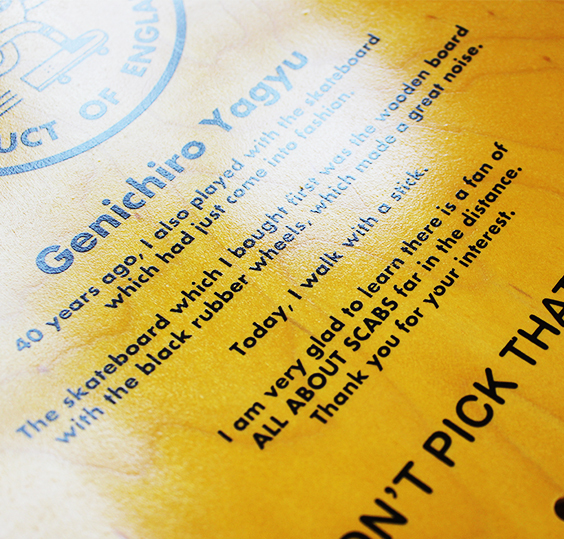 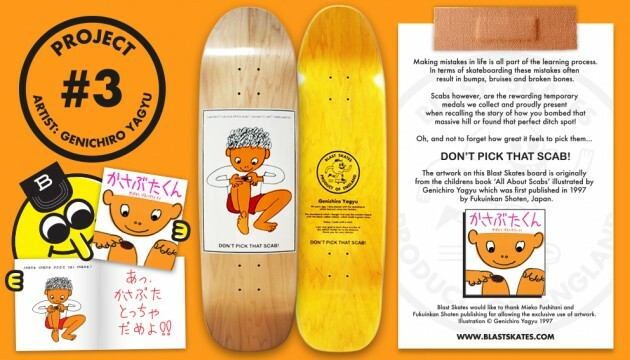 Blast Skates have rolled out a new 8.75′ Chronological Series rig this week with guest artist and children’s book creator, Genichiro Yagyu, who is onboard to remind you not to pick your scabs. 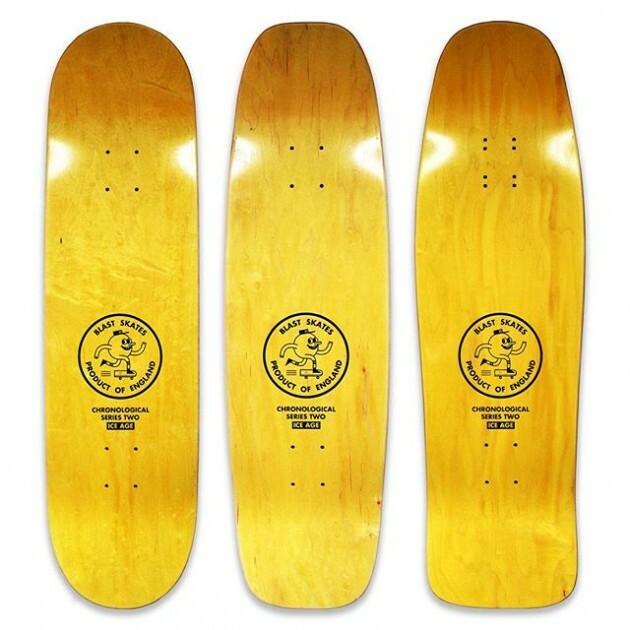 This solid maple Pennswood MFG built tank comes 8.75′ wide, 32′ in length with free Mob Grip tape when you order one for £50 from here. 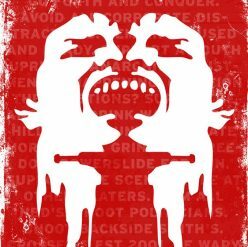 Support your local independent skate companies.